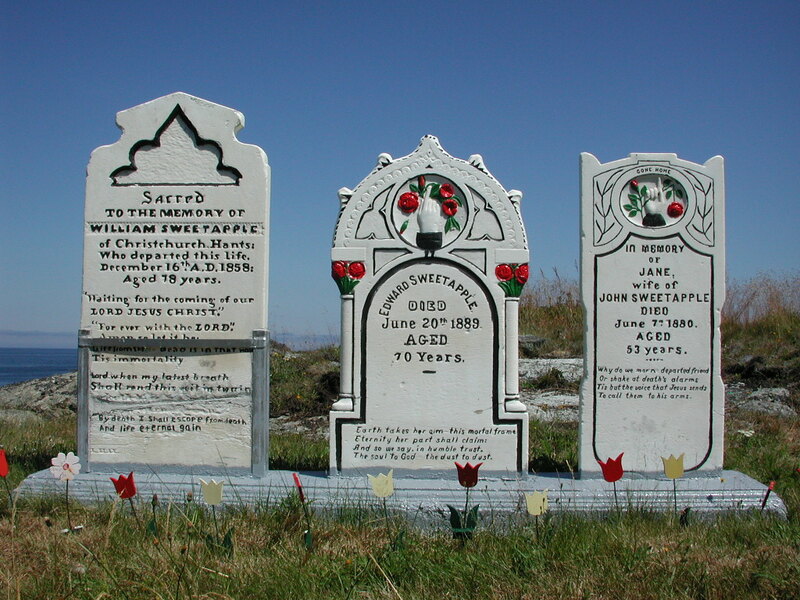 This is a family plot photo showing several stones restored at Gooseberry Islands near St. Brendans. Close-up photos of individual stones are always taken following a plot photo. White stones painted to "dress them up" can be found throughout Newfoundland.